Welcome to Wow and happy March! I'm so glad y'all are here to party with me. We have started the week off very spring like and I brought my cushions back out to add to the furniture on the deck so I could sit outside and enjoy it. I'm looking forward to enjoying that space much more this year after transforming it last summer. With spring in the air I also need to start adding some spring touches inside. I sure hope the spring creating bug hits me soon. Let's look at some features. Ramblings of a Southern Girl is already sprucing things up for spring on her front porch. I need to tackle mine soon. 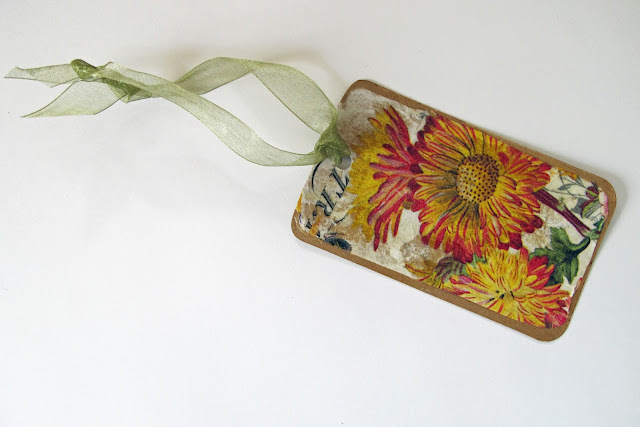 Find out how to make these pretty gift tags at Just Grand. Need more kitchen storage? Then makeover an old chest like Vanessa's Modern Vintage Home did. 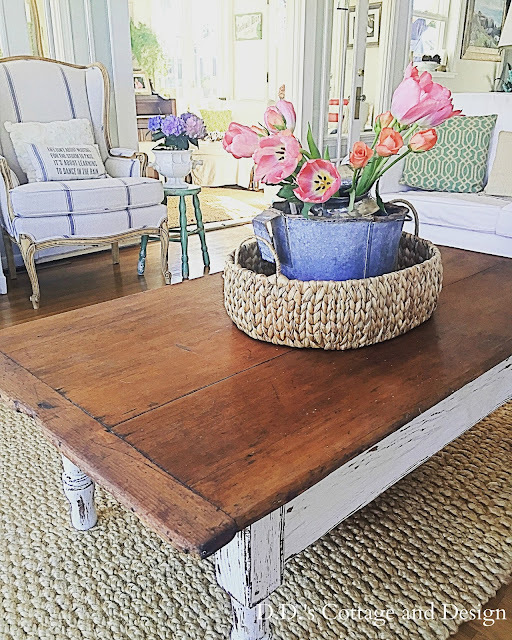 Another fabulous transformation is this coffee table by D. D.'s Cottage and Design that you must see the before of. Beautiful features Kim! Thank you so much for hosting! Awesome features Kim. No spring here yet, we just had snow today. As always, thanks for hosting and I hope you have a great week. Kim, thank you so much for featuring my island. I am so honored. Your blog is amazing! How nice that you are able to enjoy sitting out on your deck once again!!!! How nice to be able to put the cushions out! We've had some warm days but we are far from that! Thanks for hosting again and enjoy the rest of your week! I have a terrible case of Spring Fever, so I am loving your wonderful features! Thanks so much for the party, Kim! It's spring here, too, but snow is predicted for later in the week. Boo! Pretty features, thanks for hosting! Thank you Kim! Have a good week! Thanks for hosting this great party each week. Great features!! !...today was beautiful here and my camellias are blooming!!! Thanks for hosting!! Thank you Kim, for hosting tonight. Thanks for the party, Kim. I'm excited that your sofa is on it's way! Thank you for the party, Kim! I am waiting for spring, too. Great features - that cabinet made over for the kitchen is wonderful. I actually have a post to link up - I'm trying to post more frequently and link up. Thanks for the party and the feature of my coffee table! No signs of spring around here! Second week in a row that we got hit with 10+ inches of snow, but I love seeing all the peeks of spring at this party. Thanks for hosting. Nice that you have been able to enjoy the outdoors already. It was 60 here a few days ago, which was really nice, but now it's back to cold and windy. Great features as always! Thank you so much for featuring my little gift tags along with those other awesome features! Enjoy your spring weather. It's snowing here now, so our porch days are still a ways off. Thank you for hosting Kim! So many great project posted this week.